Charl-Johan Lingenfelder is an award-winning South African performer, composer and well-known musical director who is also known as the creator of highly innovative and controversial theatrical shows. He has been musical director on more than 20 musicals, from Rocky Horror Picture Show to Cabaret. 2006 saw him musically direct and re-arrange Jesus Christ Superstar, for which he has received a Naledi Award Nomination. This production subsequently toured to Athens and Korea in 2007. 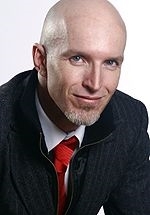 He is best known to television audiences as a judge and the musical director of the M-Net reality talent competition High School Musical: Spotlight South Africa, from August to September, 2008. He is also the musical director the stage show of High School Musical once the TV show ends.